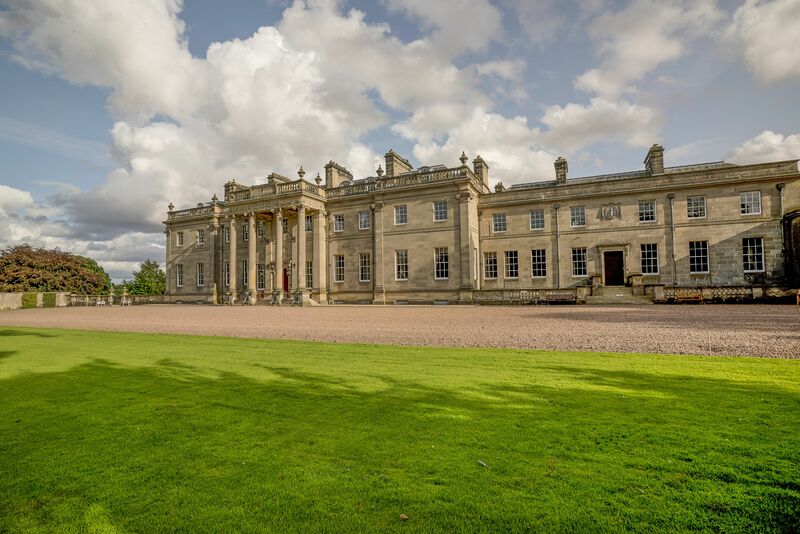 Manderston House is a grand Edwardian house near Duns, Scotland. 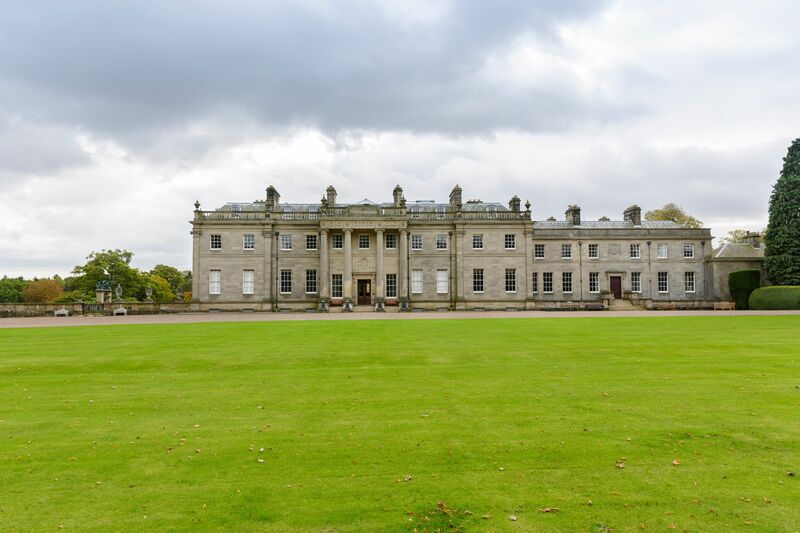 The house is close to the Scottish Borders, around 25-30 minutes drive from Berwick-upon-Tweed and around an hour and a half from Edinburgh, so you can easily take a day trip there if you’re visiting any of these places. Manderston is a great example of sophisticated Edwardian architecture and interior design. 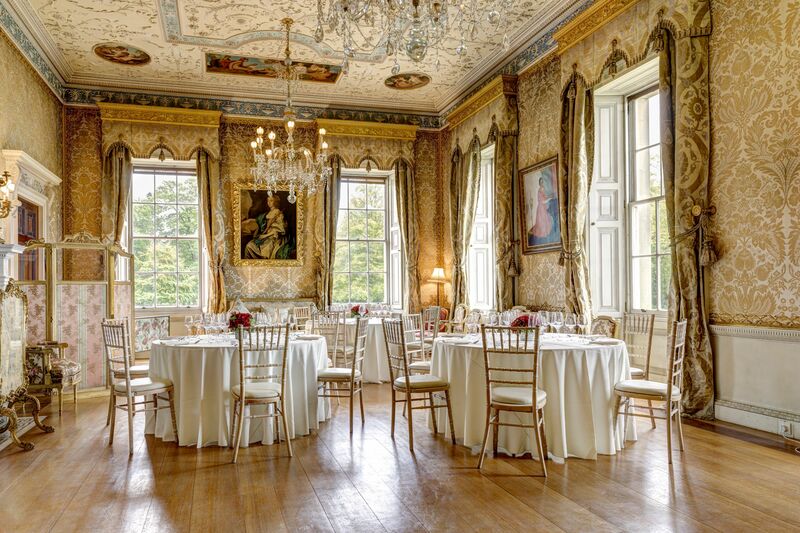 It was one of the early projects of the Scottish architect John Kinross, originally built for the baronet Sir James Miller. The house was intended to be a way for Miller to show off his wealth and position in society. 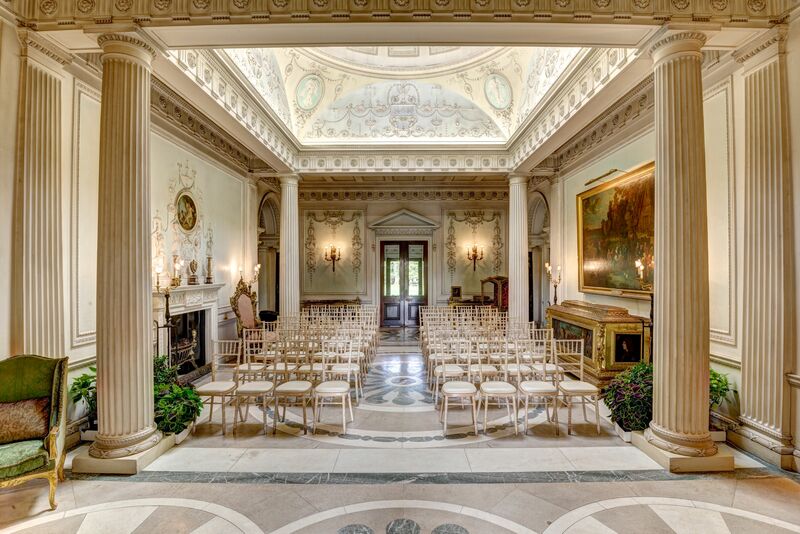 You can see this in Kinross’ use of lavish materials, such as marble flooring and rich velvet curtains. Miller wanted Manderston to be built in the style of his wife’s childhood home, Kedleston Hall in Derbyshire which was designed by the well-known architect Robert Adam. The interior of the house has several features that were clearly influenced by Adam, including the stucco ceilings in the library and the ante-room of the dining room. As well as the architectural features of the house, there are plenty of interesting and eclectic artifacts to see in every room, such as a marriage chest, inspired by a 14th-century Venetian wedding chest and the largest collection of items made from Blue John stone in Scotland. Once you’ve explored the house, don’t forget to take a walk in the gardens and surrounding park. There are both formal and informal gardens with a large variety of flowers, including some rare azaleas and rhododendrons, as well as a lake and a Chinese bridge. 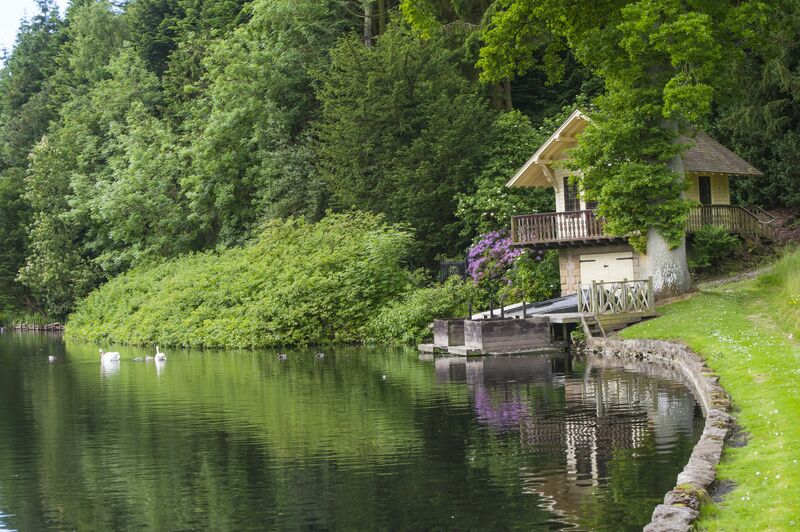 You can also visit the alpine-style boathouse that Kinross designed to celebrate Sir James’s engagement to his wife, Eveline. There are 56 acres of garden and park at Manderston in total, so there’s plenty to see if you’re lucky enough to visit on a fine day.